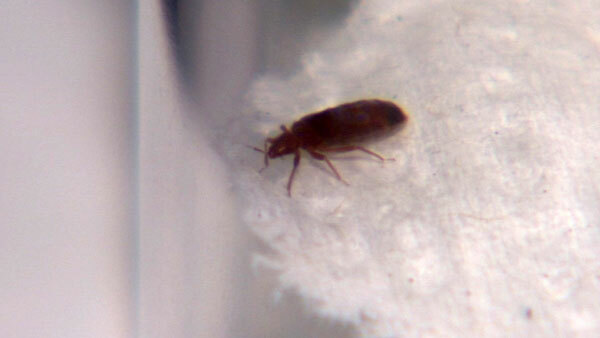 Chicago tops the 2014 Bed Bug Cities List for the third year in a row. The list, released by pest control company Orkin, ranks the cities by the number of bed bug treatments Orkin performed from January to December 2014. Bed bugs were in the news throughout 2014 in the Windy City, with reports of the blood-sucking insects on public transit and inside several downtown office buildings, as well as in police headquarters, a fire station, school, library and movie theater. Seven cities made double-digit jumps on Orkin's Bed Bug Cities List compared to 2013, including Omaha, Neb. (+16), Lexington, Ky. (+16), Sacramento, Calif. (+14), Grand Rapids, Mich. (+13), Buffalo, N.Y. (+12), Charleston, W.Va. (+11) and Louisville, Ky. (+10). Several cities also dropped significantly in the past year, including Syracuse, N.Y., San Diego, Miami, Greenville, S.C. and Atlanta. Four cities made the Bed Bug Cities List for the first time including Myrtle Beach, S.C., St. Louis, Bowling Green, Ky. and Ft. Wayne, Ind. 43. Albany - Schenectady - Troy, N.Y.
45. Myrtle Beach - Florence, S.C. Bed bugs are in every region of the country, and Orkin has treated for bed bugs in all 50 states. The problem is growing nationwide as well. According to an annual report on the pest control industry, Americans spent $446 million to get rid of bed bugs in 2013, the latest data available, compared to $70 million in 2004. Inspect your home for signs of bed bugs regularly. Check locations where bed bugs hide during the day, including in furniture, mattress seams and bed sheets, as well as behind baseboards, electrical outlets and picture frames. Survey the hotel room for signs of an infestation. Look for red or brown spots on sheets. Lift and Look in bed bug hiding spots: the mattress, box spring, sheets and furniture, as well as behind baseboards, pictures and even torn wallpaper. Bed bugs are not known to spread human disease like many other pests, but can leave itchy, bloody welts on skin, and they are active year-round. Because every bed bug scenario is different, it's important for homeowners to call a professional who can create a solution tailored to their home's needs.